100 N Belle Meade Rd. 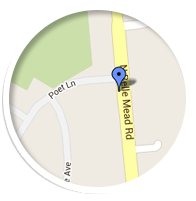 Funt Orthodontics is conveniently located just north of Rte. 347 directly on Belle Mead Rd. Providing braces and invisalign to Setauket, East Setauket, Stony Brook, Port Jefferson, Port Jefferson Station, Centereach, Selden, Coram, Terryville, Farmingville, Holtsville, Lake Grove, St. James, Mt. Sinai, Miller Place, Rocky Point, Sound Beach and surrounding areas, we have convenient after school/work hours, weekend hours, and early morning appointments available. Give us a call to schedule a complimentary consultation.